Gene Lewis Broker & President has been involved in real estate since he was first licensed in Michigan 1991. By the end of 1995, Gene passed the Florida State Real Estate Brokers Exam. He founded Atlantic Properties & Investments, Inc. here in Melbourne Florida in 1996. Two years later, he purchased a Century 21 Franchise. Gene enjoys spending his free time with his family, coaching youth Soccer https://www.youtube.com/watch?v=y_l90wMH8FE , Surfing, Boating, Fishing, & Free Diving. 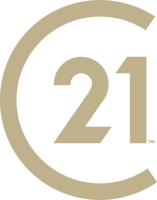 Century 21 Spectrum have been involved with the Listing and Selling of homes in Brevard County and adjacent areas for over 21 years. Since inception, we have been an important part of the local community and we will continue to serve all of the area's real estate needs for years to come. Dedicated to providing quality customer service by associating with the most honest, ethical, and knowledgeable real estate professionals in the industry. All while creating a stress-free real estate experience for buyers and sellers throughout the community. Century 21 Spectrum offers free "WiFi," Fax Service, & Printing of documents for our customers and tourist needing to connect family or business back home. Our office is fully equipped with an integrated network of computer and communication systems. We have instant access to the local and regional Multiple Listing Service, Public Record Searches, and many other tools and services that our agents use to better serve you. In addition to our agents and brokers, we also have three full time administrative staff members that work tirelessly to accommodate any and all of your needs. They help coordinate meetings, set schedules, ensure the timely processing, and delivery of all your documents.